I knew as a child that I wanted a career as an artist, but it was 2005 before I made the leap from day job to full-time professional wildlife artist. My career has developed: running workshops; tutoring residential classes; writing and illustrating; plus the core work of drawing and painting wildlife. From penguins to ancient Egypt, highly detailed realism to looser-styled paintings... there are distinct on-going themes, one arising from another. Evolution, entirely appropriate in the natural world. I’m focusing on two themes: “Wildlife and Environment” exploring wildlife camouflage and “Natural Pattern and Texture” which allows me to explore natural surfaces in a more abstract way. I suspect the two themes may converge and perhaps overlap at times. I can’t wait to see how the two collections develop. Exhibitions were a key focus in 2017, starting with a solo exhibition at WWT Slimbridge; Stroud Open Studios in May (6th-7th and 13th-14th); ARTBURST in August (19th – 28th); and Lloyd’s Art Group in October (23th – 27th). I developed the international / tutoring side of the business, becoming a nomadic artist tutor for Art Safari; tutoring wildlife art courses at Aigas International Field Centre; and taking part in the first Uttar Pradesh Festival of Birds in India. I focused less on birds and more on the animal-, insect- and reptile- side of wildlife art, as I authored and illustrated a new wildlife art book. I established a new studio near Stroud, enabling me to take on more illustration work and expand my range of wildlife art original paintings, prints, cards and puzzles. A talk for an RSPB group, about the Falklands trip, led to an audience member inviting me to join his research project as illustrator. This marked the start of my interest in the wildlife art of ancient Egypt, and included an amazing six-week field trip discovering the art techniques and materials used inside the tombs and temples. A four-week trip to paint the wildlife of the Falkland Islands provided plenty of inspiration beyond my usual British wildlife art, and led to my reputation for penguin paintings. My development as a wildlife artist continued and I also enjoyed increasing my knowledge of art history. 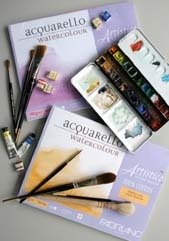 My practical work included still life and portraiture as well as wildlife. The first of numerous presentations to an art group. Since then I have given talks and led workshops for art and natural history groups throughout the UK. Inspiring and encouraging others is a key component of my work. I was appointed part time Education Officer at Nature in Art. This was a perfect situation, giving me time to develop my own art and meet other wildlife art specialists while establishing a new education department for the museum. 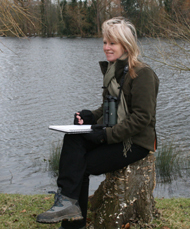 I immersed myself in field sketching and wildlife art in tandem with gaining teaching qualifications. Ive always been fascinated by observational drawing, so that is how my creativity first expressed itself, and I still love that type of work. Watching my subject come to life beneath my pencil or brush has always seemed like a magical process. Sometimes I even find it hard to believe I created the image myself. Magic indeed!